Happy Birthday #7. Or maybe that's J-7. Happy Birthday Joseph, God Bless you on your special day. Can wait to se all @ TLC. Happy Birthday Joe! Same Birthday! Happy Birthday Joe, Hope You have a blessed b-day !! All those in favor of Ellie calling the Duggars by their NAMES, not a number, raise your hands. Let's see the show of hands here. Both hands up. I don't like the numbers. The Duggars picked out names for all their children, and they don't call them by number. The least the rest of us could do is respect that. Doesn't bother me. We still know who the person is, since she uses their name in the post and shows a bunch of pictures of the person. It doesn't bother me at all. I lose track of who is who. Nope. Don't mind at all. Well would you look at that, most people on this blog think it's better to let Ellie continue to do things her own way. You know, since it's HER blog. Have a wonderful birthday Joseph! Happy Birthday Joe, hope you had a great day! Happy birthday Joseph. I hope you have yourself a wonderful birthday with Kendra and also your extended family. Also congrats on your baby announcement. Happy Birthday Joe. Someone very close to me turned 23 today also but sadly not living life as a Jesus Follower. Been praying for them a long time and will keep doing it. God Bless! Happy Birthday and God bless Joseph!!!! Poor Joe. Has the Duggar male "hairline" at 23. Josiah has the SAME problem. Stop being so cruel and insensitive. You don't need to be sorry for him. Very childish comment and unnecessary. Not really a problem unless perhaps you base yourself worth on how you look. Somehow I don't believe this family does. It is more about how they look on the inside that matters. Both wonderful godly men. I wonder what your hair looks like. What a rude comment? What matters is the inside? Joe is a handsome young man. Well I doubt Kendra cares since she married him, so I don't think it really matters. Are you the same person who commented on Josiah's hairline on a later post? Why does this matter? My husband was prematurely gray at a young age, but it's not something that has ever bothered me or that I've paid much attention to. I'm sure Kendra feels the same way about her husband, whom she loves very much. Happy birthday to U, Happy birthday to U, Happy birthday dear Joseph, I am sooooo happy for U!!!!!!! 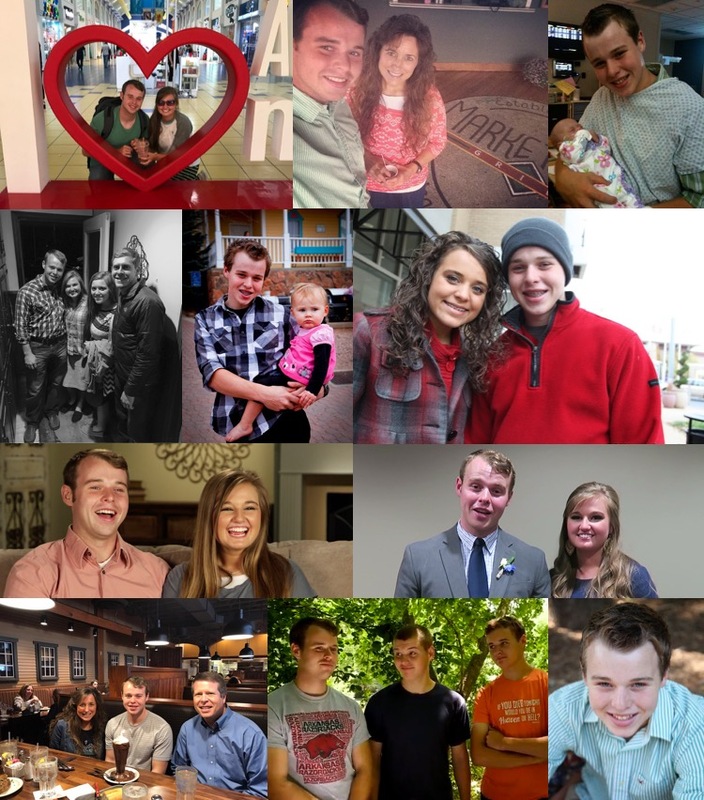 Happy 23rd birthday Joseph Garrett Duggar. I've watched you grow since 2004. I cannot wait till the gender reveal party and the birth of your little bundle. Love the letter K Kaitlyn Renee and Kody Daniel. Hope you had a wonderful birthday. Natasha B. We don't need to see another ginder reveal party on that show. IMO Gender reveals are only fun if you don't know what the baby is yet, so when we see the gender reveal after the baby is already born and we know what it is, it's kind of boring. Of course we don't need to see it, but it's still fun to see their family celebrations.